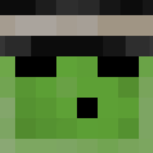 interactions FTB Interactions Server updated to modpack version 1.2.1! skyfactory4 New SkyFactory 4 Modded Server is now OPEN! skyadventures FTB SkyAdventures Server Reset and Update is complete! network Network AssassinS Craft Update 14! Crates, fixes, better loot, back flip and more! forum Community Forum Update IPB 4.4.0! Monthly Top Voter Rank. Rise above them all! network Network AssassinS 1.13.2 Update Complete! Old server closed!